and I have been asked to elaborate a bit on what shades I have and what I wear the most! I thought about doing this by brand and going through the colours that I have by brand, but then I had a brainwave and said I would go by colour and categorise the lipsticks into reds, nudes, peaches/corals and pinks. I'll get the ball rolling today and start off with my favourite red lipsticks. I know the cynical amongst you are probably thinking- red lipstick- red is red- how can you build up a collection of the same colour lipsticks? Well the answer to that is that these are not all the same! Sure, some might be similar, but overall, I think each one of them is sufficiently different to merit a place in my collection- different shades of red, different undertones, different finishes etc. 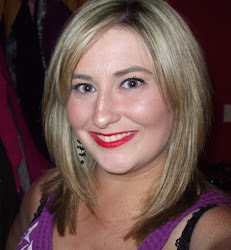 I love red lipstick- my trademark look is big thick lashes and bright red lips- I just think it's simple and classic. I like to channel Gwen Stefani- flick of black eyeliner and bright red lips- in my opinion, she is one of the ultimate red lipstick wearing champs, it pretty much is her signature look. I remember watching the No Doubt video for 'Don't Speak' when I was just a young 'un and being very struck by the bright red lips. I guess that stuck with me over the years. I was actually a bit of a late bloomer when it came to embracing red lipsticks- I don't know if it was a confidence thing- but when the bug bit, he bit hard, and now I am hooked. This post is not a review of various red lipsticks- I have already reviewed some of these are if there is one in particular you would like me to review, feel free to request it. This post is more of an exploration of the various red shades that I think work for me, and it may help you on your quest for the perfect red. These are not all my red lipsticks, and I know I will keep on purchasing reds, but I remember my search into what reds suit me at the beginning was so daunting, and I had to incur a few misses before I found my hits. These are a cross section of my favourite reds. One thing I really love in a red lipstick is a blue-ish undertone. I think these are so flattering against pale skin and fair hair, they make your lips appear fuller and plumper AND they make your teeth look whiter. I love blue undertones in all my lipsticks- pinks, reds, etc. I definitely have a preference for blue toned reds over orange toned or true reds, maybe it is because I am so pale, but I like the pop of a blue toned red. Just in case my camera is not picking up these colours to their full potential, below is a brief description of the colours. This is my interpretation of them- feel free to disagree! I absolutely love NYX Round Lipsticks and I picked up 6 reds- ranging from a coral red in 'Femme' to a deep red in 'Snow White'. The formula of this lipsticks is amazing- they are quite moisturising and last easily about 5 hours without needing to be touched up. I love them because they are all high impact colour, super pigmented, they go on so easily- literally one coat is all that is needed to make them fully opaque. Even though the texture of these is very soft and smooth, I have never experienced any bleeding problems, it pretty much always sits in place on my lips. I have also found that they fade without leaving a rim, they are nicely glossy when they go on and not too glossy or shiny either, I don't really like frost on my lips. I know red lipsticks are not for everyone and it's really hard to pick the red for you. I don't really have tips or advice, but believe me, I speak from experience when I say that it really is trial and error in the beginning- by trying some reds on, you will see what pops, what suits you and what you lean towards. The only tip I have really is to pick something similar to your skin's undertone and that will match your colouring- for example, I use NW15/20 with MAC so I am very pale, my skin colour is cool with pink undertones, and I have blonde hair, therefore, I find blue based and cherry reds really flatter my colouring. If you have warmer skin or yellow undertones, you may find a warm red or an orange based red more flattering. I personally find it quite hard to pull off an orange red- there is always the fear of looking like you have clown lips. True reds are meant to universal and suit everybody equally- I am not really convinced that there can be a 'one red lipstick suits all' type marvel, but I will keep an open mind. I don't really think there is a right or a wrong when it comes to red lips, it's just about finding what works for you. If your coloring is similar to mine, this post might help you choose. If you are a red lippie fan like me, what reds tickle your fancy and float your boat? Or have you ever tried a red that looked hideous on you? Hope this was helpful! Thanks for reading.